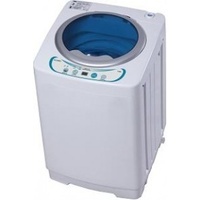 The Ultimate Camec Caravan Accessory - Camec have brought out their own branded range of Caravan washings machines are available in top loader or front loader styles. 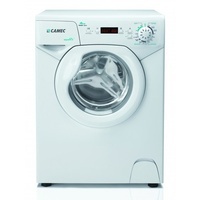 All caravan washing machines are designed to be more compact than a normal household machine and are also designd to withstand bumps and vibrations associated with mobile caravan applications. The Camec 2.5kg and 3.0kg top loading machines are a popular choice due to their reliability and portability. The 2.5kg machine is a popular direct replacement for the Lemair 2.2kg and we are finding this particular model is by far the most popular. The relatively new 3.0kg has the same footprint as the 2.5kg although it is a approx 100mm taller. This particular machine also has hot water capabilities which is proving very popular. For extra capacity - check out the huge 4kg front loading from camec. Designed to be built into cabinetry, a front loading style machine allows you to mount this unit above or below existing cupboards or shelves saving you precious room in that caravan bathroom area.